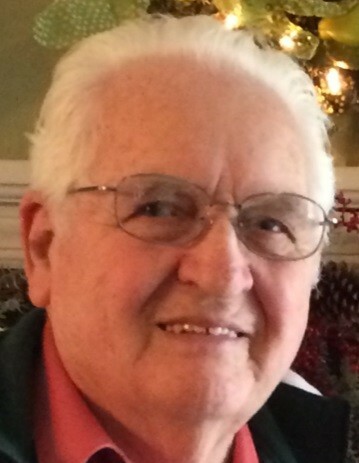 NORTH LIMA– John Lindsay “Pete” Wellman, 83 went to be with Jesus Thursday morning, March 21 surrounded by his loving family. Mr. Wellman was born at his family home on September 6, 1935 in Lisbon, OH, a son of Baz and Maggie (Wilson) Wellman. Pete was a 1953 graduate of North Lima High School. He married his high school sweetheart the former Shirley Arkwright on March 17, 1954 and together they celebrated 65 years of marriage and raised four daughters. Pete was the owner of Wellman’s Florist in Poland and North Lima. He and his wife Shirley also owned and operated the Idle Hour Restaurant in North Lima. Mr. Wellman was a long-time member of the Paradise Church, where he was a past elder. Pete was an avid supporter of South Range High School athletics. He was a Volunteer Fireman from 1962-1988, the Beaver Township Fire Chief from 1981-1985, and a Beaver Township Trustee from 1986-1997. He leaves to cherish his precious memory his wife Shirley of North Lima; his daughters, Patty (Thomas) Roller of North Lima, Marilyn (Chris) Hatch of Canfield, and Cheryl (Tom) Hudzik of Greenford; grandchildren Adam (Carrie) Roller, Audra Hatch, Christopher (Morgan) Hatch, Luke Wellman, and Jakeb Fry; great grandchildren Evan, Callie, Daphne, Henry, Charlotte, James, Harvey, and Renni; and his siblings Dorothy Smith of Columbiana, Anna Detwiler of Mineral Ridge, and Lonnie Wellman of Sutton, WV. Mr. Wellman was preceded in death by his parents, his daughter “the apple of his eye” Beverly , who passed away on January 12, 2019, grandson Aaron Roller, twin grandsons Alan and Joseph Hatch, his siblings Rose Ockerman, Herman Wellman, Alice Weaver, Ernie Bush, Louise Detwiler, and Lowell Wellman. Funeral services will be held on Monday, March 25 at 11:00 a.m. at Paradise Church, 10020 New Buffalo Rd, Canfield, OH. The family will receive friends on Sunday, March 24 from 2:00 – 5:00 p.m. at Seederly-Mong and Beck Funeral Home, 11500 Market Street, North Lima and one hour on Monday at the church prior to the service from 10:00-11:00. The family would like to extend a sincere thank you to the nurses and staff at Parkside Healthcare Center for the compassionate care and kindness shown to both Pete and Beverly during their stays there.